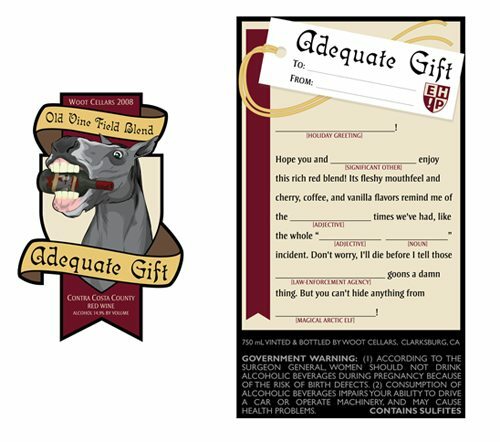 Just in time for the holiday season, shower the ones you love with nothing less than … an “Adequate Gift.” This is from Woot Cellars. We especially like the functional back label, giving you the chance to tell your (significant other) about all the (mediocre) times you’ve shared. For other “functional” containers, see Functional Packages, Parts 1, 2, 3 and 4.